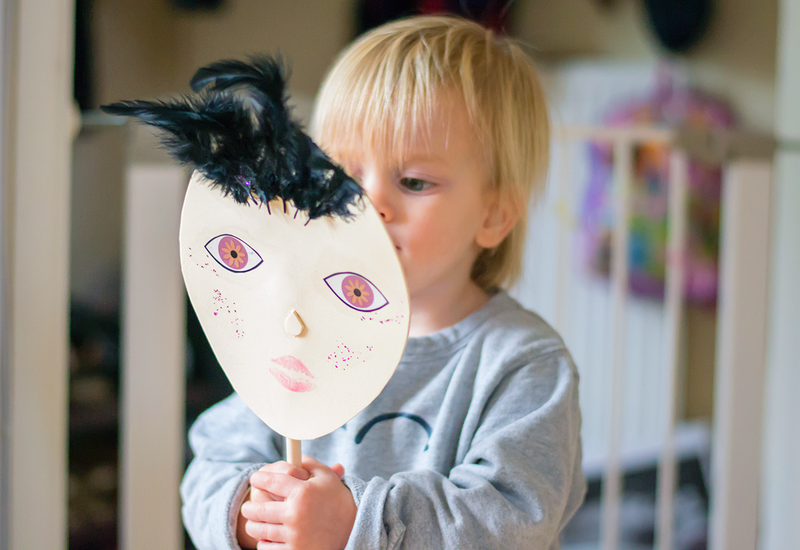 Making masks for kids is always a fun activity, mine absolutely love dressing up. Children can be as creative as they like when decorating these, Cherry’s loved sticking buttons and feathers on her one. There are lots of themes you could use them for, or even make them look like characters from movies / favourite telly shows but otherwise you can just lay everything out on the table and see how they turn out! 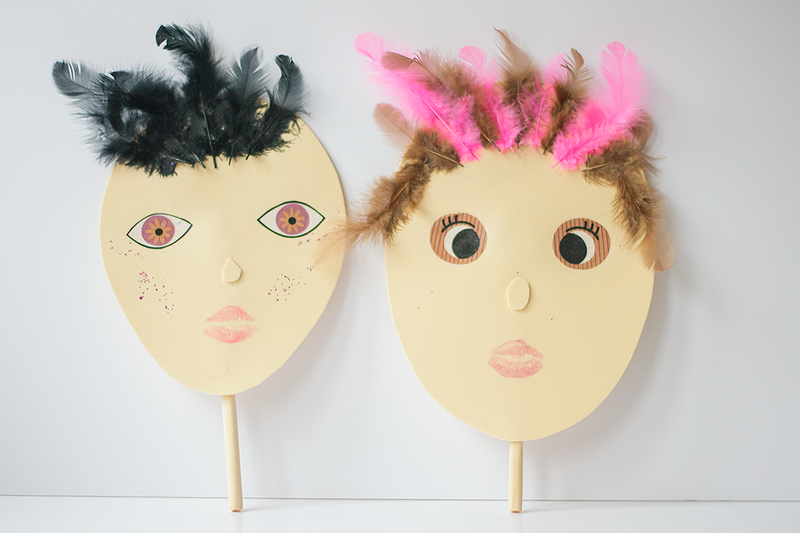 We made four DIY foam masks as there are four people in our family, we cut the foam sheets into face shapes. Then we cut the eyes off the sheet and glued them on using PVA glue. We glued on little bits of felt for the nose and feathers for the hair, Cherry glued on a button for the nose and lots of feathers. We put lipstick on and kissed them to make the mouth. 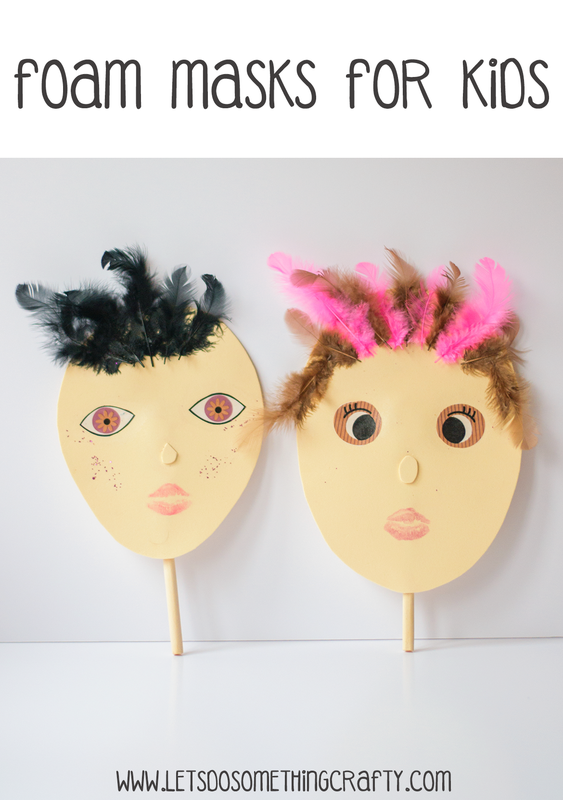 Then when we’d made the faces I used the glue gun to stick the wooden spoons on the back. This is Cherry’s masterpiece, I definitely wouldn’t want her creeping into my room in the middle of the night with it! How to make an easy felt crown. This involves no sewing and only takes a few seconds to make. How to make a rainstick. Really simple and made using an old cardboard tube. These junk model aliens are super colourful and made from old rubbish. This pipe cleaner play scene has a camping theme. 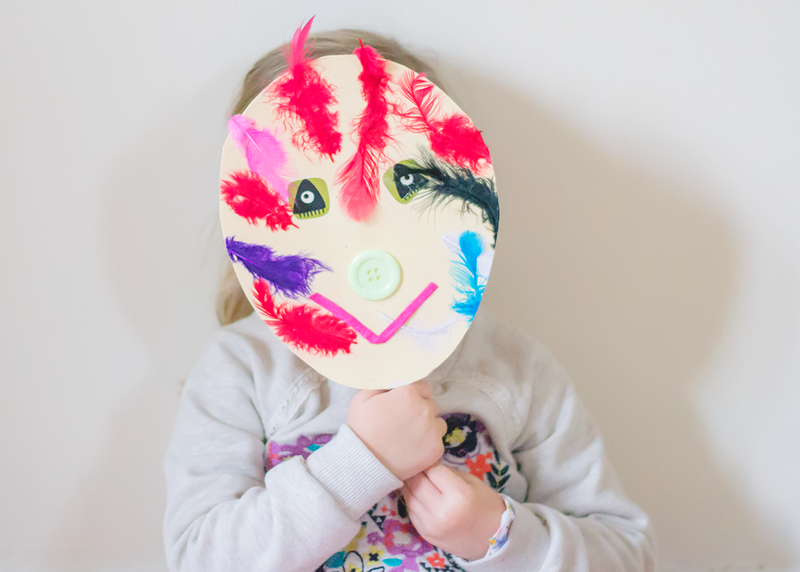 These felt flowers are so easy to make and look really bright and colourful. 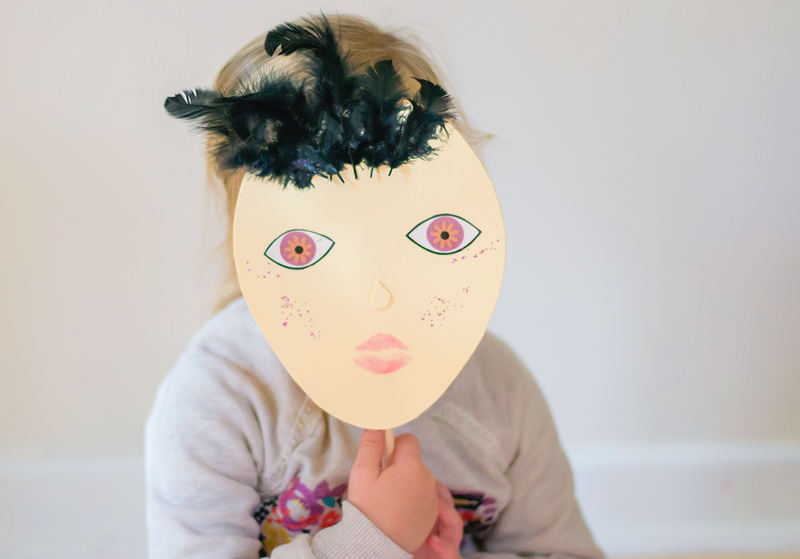 These feather superhero masks are fun to make. 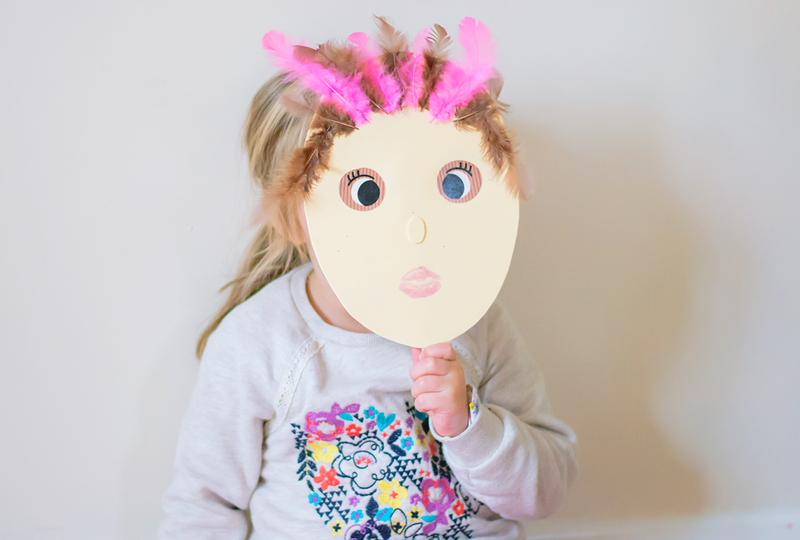 And if you want to give dolls a spooky makeover then check out these scary masks for dolls. How To Make The EASIEST Felt Crown!